You may have noticed a new Island make its way onto the map recently. The Home Island is a place you can kick back and relax, visit the Poptropica Store or your tribal common room, and, best of all, get new costumes and hair colors! Just head over to Poptropica, then go to the map and visit the Home Island. Then go into the "New You" store to check out free costumes, and use the Colorizer to change your hair or skin color. It'll be a whole new you! Not that I'll be changing anything. I'm perfect! We are sorry for the interruption. We hope you put the downtime to good use, because it's time to play! We expect to be up by Friday morning! 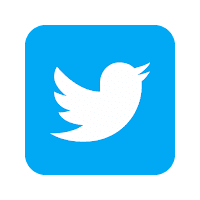 Please keep an eye on this blog for updates. 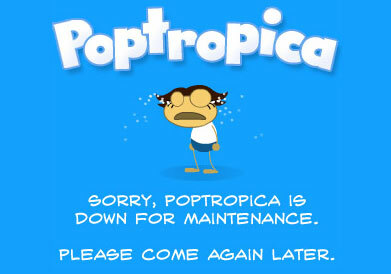 Just a quick note that Poptropica is down for maintenance for a little while. As soon as we're back up, we'll let you know. In the meantime, why not catch up on Poptropica Comics? They're all on GoComics -- check them out! Now online -- the Timmy Failure Island common room! Another Thursday, another new goodie rolled out to the sneak preview of Timmy Failure Island! You can visit Main Street of Timmy Failure Island now to check out the all-new Timmy Failure Island common room, located in Maury's Museum of World Records. This is a great place to play head-to-head games, make friends, and try out some of our new chat options. Best of all, it's all free! Go to Poptropica now to check out the new Timmy Failure Island common room! We're rolling out another new feature tomorrow on Main Street of Timmy Failure Island. We'll let you know the moment it's available. Keep watching this blog! In the meantime, get your customized Timmy Failure Island poster while you still can! Don't you hate it when Poptropica crashes? We're always working on new projects here at Poptropica. Here's a super-early sneak peek of one of these projects. This week, say hi to Timmy on Main Street of Timmy Failure Island, and you'll get a customized Timmy Failure poster featuring your avatar! Go to Poptropica now to get yours! Have you had a chance to grab your Total costume from Timmy Failure Island Main Street? Don't delay! It'll be gone this Thursday. Go to Poptropica now to get yours! Of course, we'll be adding something new this Thursday, too, so keep an eye out because we'll let you know when it's available! Once again, it's so hot the trees are whistling for dogs. Fortunately, the Islands of Poptropica offer endless ways to beat the heat. Here are just ten ways to cool off in Poptropica! Spend a night in the snowy woods on Survival! Skate across the frigid Ice Planet on Astro-Knights Island! Enjoy a snow day on Wimpy Wonderland! Hit the beach on Shark Tooth Island! Collect sea shells by the sea shore on Wimpy Boardwalk! Take a dip in the cool waters of Poseidon's Temple on Mythology Island! Make a splash in the diving game on Poptropolis Games! Get out of the sun and take a trip to the moon on Lunar Colony! Take the ultimate ocean adventure on Mission Atlantis! Dip your toes into the brisk waters of S.O.S. Island! Ahh, we feel better already! These Islands -- and dozens more -- are all available to play on Poptropica, so why not dive in yourself? There's a brand-new prize available on Main Street of Timmy Failure Island! Talk to Timmy and you'll get this one-of-a-kind Total costume. It's totally free, but the only way to get it is to go to Poptropica and check out the sneak preview of Timmy Failure Island! And hurry -- this costume is available for one week only! Today is the 47th birthday of one of the greatest cartoon characters of all time: Snoopy! We're huge fans of PEANUTS here at Poptropica, and it was a thrill to make Great Pumpkin Island a few years ago. Snoopy and the gang are still going strong, with a new movie coming later this year. If you're nuts about PEANUTS like we are, don't miss it. And go to Poptropica now to play Great Pumpkin Island! The last Daily Pop-In Prize code is now online. To get today's prize, enter the code BIG100. This code will be active through noon on Monday, Eastern time. We've had an absolute blast giving away so many free credits and items over the past two weeks. The Daily Pop-In Prize is over for now, but you can bet we'll be doing more like this in the future! If you're not sure how to redeem a code, click here. Check out a playable preview of Timmy Failure Island! Timmy Failure Island will be available to Members on Thursday, September 17, but everyone can get a sneak preview of Timmy Failure Island Main Street right now! Once there, you can say hi to Timmy and win a prize! We'll be updating Timmy Failure Island Main Street every Thursday until Early Access begins on September 17. So keep coming back to Poptropica to see what's new! And now, a word from Stephan Pastis, the author of Timmy Failure. Today's Daily Pop-In Prize is a special one, not just because of what it is, but because it allows us to use one of our favorite words, "penultimate," which means "second to last." Ready? The penultimate Pop-In Prize code is MORECREDITS. Go to Poptropica now to redeem yours. Do you want this free Woolly Blow power? It's easy to get! Just visit the party room on Main Street of any island to claim your prize. The Daily Pop-In Prize is steaming ahead like a locomotive. Today's code is POPSTORERULES. Visit Poptropica now to enter the code and get your prize! To find out out to redeem a code, click here. There are just a couple of hours left to get Tuesday's Daily Pop-In Prize. Tuesday's code was TWINPOWER. To get yours, visit Poptropica now before the code is gone and a new one takes its place! We hope everyone liked the weekend's prize as much as we did. It was so good, we just had to leave it up a little longer than usual. But that code is now done, and a new code is ready! Today's prize code is DAILYDOSE. Go to Poptropica now to enter the code and find out what you'll get!